This past Sunday, the New York Times featured on the front page of its Week in Review section a major column by Michelle Alexander — Time to Break the Silence on Palestine. It was, by any measure, an important article because of who wrote it, where it appeared, and its breathtaking indictment of both Israel’s history of violations of Palestinian rights and the silence of US policymakers to address these outrageous behaviours. The reaction in Israel and among the American Jewish establishment was immediate and predictably hysterical. A former Israeli Ambassador to the US said that Alexander’s article “dangerously delegitimises us. It is a strategic threat ...” The Anti-Defamation League, B’nai B’rith, and the American Jewish Committee in tweets and statements called the article: “dangerously flawed”; “anti-Semitic”; an “anti-Israel rant ... filled with errors”; “a shameful appropriation” of the memory of Martin Luther King. This panicked reaction to Alexander was unsurprising because it represents just one more indication that hardline Israeli propagandists are losing their ability to shape political discourse on the Israeli-Palestinian conflict. As Alexander notes in her article, in recent years we have seen: major US churches divesting from Israel, the growing support of young African American activists with the cause of justice for Palestinian; the backlash over the firing of a CNN commentator over his pro-Palestinian positions; and the election of pro-Palestinian Members of Congress. Because these developments only scratch the surface of the change that is underway, the nervousness demonstrated by the Jewish establishment was to be expected. Polling shows that Israel has lost significant support among the young, the educated, and minority communities (African American, Latino, and Asian American — who together comprise about a third of the US population). As a consequence, there is a debate on Israel/Palestine underway on campuses, among major Protestant churches, in the Black community, and in the Democratic Party. And, in this debate, arguments demanding justice for Palestinians are being heard and winning. In challenging this drift, pro-Israel propagandists have drawn all their weapons. Pro-Palestinian activists and commentators have been smeared, intimidated, and threatened with dire repercussions. While some voices have been silenced, the movement away from accepting the Israeli line continues to grow. If I were to identify two main reasons for this erosion of support for Israel and increased support for Palestinians, I would point to the role that alternative media has played in making it possible for the reality of what is happening in the occupied territories to be better known and the role played by the virtual marriage of US President Donald Trump and Israeli Prime Minister Benjamin Netanyahu. My brother John Zogby observed in his important study of the changing attitudes of American demographic groups that as a direct result of the internet, young people and minority communities have developed a global consciousness — they are less tied to narrow parochial concerns. They have access to more sources of information and are more questioning of the “accepted dogma” of political elites. As Israel continues its rightward drift, with ultra-nationalists in control now and for the foreseeable future, and as the Christian right-wing and nativists continue to dominate the Republican Party, it is to be expected that alliances would be formed in opposition to this bonding of US and Israeli hardline ideologues. As I noted, this change has been brewing for some time now, but it was the Michelle Alexander article in the New York Times that has helped bring it to the surface. As important as this moment may be, I must admit that my delight was tempered by the feelings of regret that all of this change has come too late for so many. I thought of the Nakba and the uprooting and dispossession of hundreds of thousands of Palestinians from their homes and how for decades they have been denied the right to return. I thought of the horrors of the now 70-year occupation of the West Bank, Gaza, and East Jerusalem — the theft of their land, the economic strangulation to which they’ve been subjected, the demolition of their homes, the brutal unreported acts of collective punishment, the torture, the prolonged imprisonment of thousands without charges, and the daily humiliation they have endured at the hands of soldiers and colonists. And I thought of the courageous intellectuals and activists, Arabs and Jews, here in the US and in Israel and Palestine, who over the decades paid a dear price for their efforts to elevate Palestinian rights in a less welcoming time. And then I thought of the brilliant Palestinian Fayez Sayegh, who decades ago gave us hope that one day change would come — that the tide would turn when we didn’t expect it and we would discover that despite the power of our opponents, change was afoot and we would see a way forward. Here it is — the moment he predicted. A door has opened, but knowing that our opponents will be working hard to slam it shut, we must redouble our efforts to build the movement that challenges Israel’s history of oppression. We owe this much to those victims of the past and to those who are still suffering from dispossession and occupation. Alexander has shown us an open door. We have to have the courage and commitment to continue to keep it open. 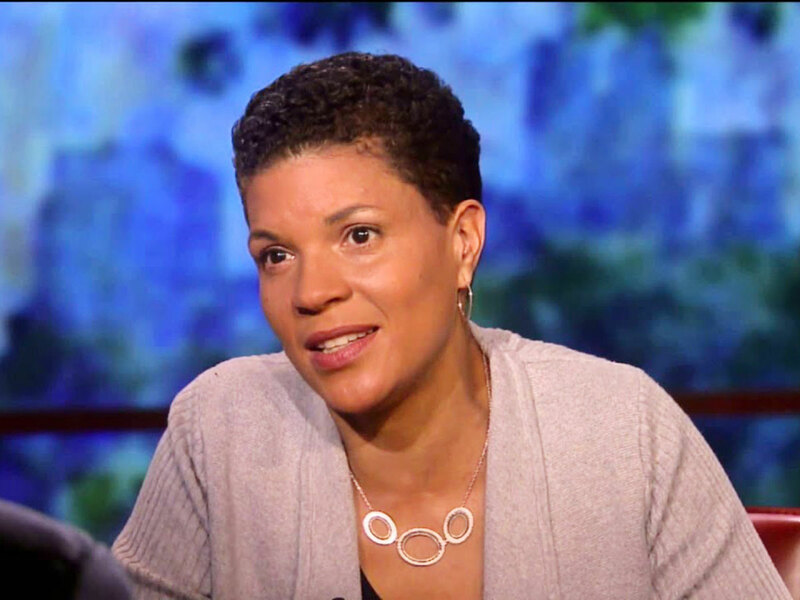 An abridged version of Michelle Alexander’s column ‘Time to Break the Silence on Palestine’ will appear on Wednesday.